Jordi Savall returns to the Auditori to interpret Juditha triumphans together with top level vocal soloists, leading the Le Concert des Nations and the Capella Reial de Catalunya. The sound displays of Vivaldi, his incomparable ability to arrange colourfully the instruments of different families, contributes with the narration of a story, the Sacrum militare oratorium that is also known as Judit triumphs over the barbaric Holofernes. In fact, the piece was composed to celebrate the victory of Venice over the Turks during the siege of Corfu. Vivaldi premiered it at the Ospedale della Pietà in Venice, like so many other of his compositions. The magnetism of José González is difficult to communicate with words. He usually appears alone on stage, with his guitar. In spite of it, his image does not match completely with that of the singer-songwriter -even if, indeed, he is so. Because he reaches, playing his instrument, a very unusual amplitude, with aspirations more typical of an ensemble. This, together with a voice that -in its extremes- can sound velvety or sharp, allows a wonderful number of nuances. 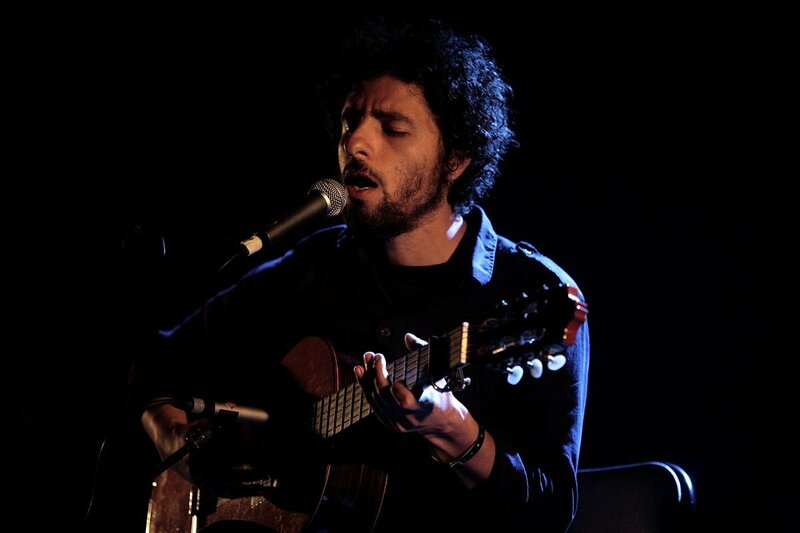 José González has performed in venues around the world, in which his intimate proposal works perfectly, but also in great temples of music, such as the Sydney Opera House (twice), the Walt Disney Concert Hall in Los Angeles (also two times), the Beacon Theater in New York and the Cirkus in Stockholm. In his concert at the Sala Oriol Martorell (Auditori de Barcelona) he will be surrounded by a group of musicians who call themselves The String Theory, with whom he has collaborated since 2011 and that will collaborate in the expansion of that wonderful musical depth that he sketches in his individual performances. They are defined as "an artist collective, think tank and experimental chamber orchestra ‎based in Berlin and Gothenburg. Since 2007 has been exploring the outskirts of ‎contemporary classical music and original pop by means of workshops, studio recordings and ‎live performances”. With all these ingredients, the concert can be memorable. based also on the work for keyboard of Leipzig’s cantor. The principal work programmed will be the mythical Goldberg Variations, a series composed to make more bearable the nights of an aristocrat of his time, who suffered from different conditions. But beyond this founding anecdote, the work has transcended due to its fascinating complexity and, above all, to the fantasy displayed by Bach from the initial aria. Of course, in the memory of many listeners may be recorded Glenn Gould’s versions - the revolutionary one, made in 1955 or, a more profound and equally visionary, that of 1981- as well as other performances with epochal sensitivity, for example, the marvellously mathematical reading of Gustav Leonhardt. Thinking about the protagonist of the night, András Schiff, neither of the two extremes are to be expected, but rather a particular and introspective vision, in which rigor and freedom combine in the most natural way, most probably arousing the listener amazement and satisfaction. 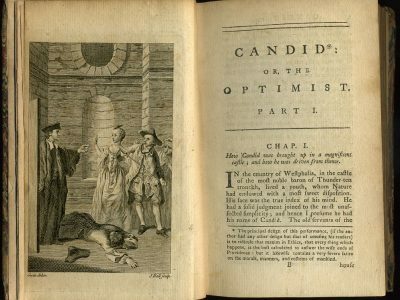 One of Leonard Bernstein's most original works is Candide. More than an opera, in the usual way, it is considered an operetta because of the light and easy tone of the plot, as well as the numerous jokes that Voltaire's novella includes, the text on which it is based. In his day the enlightened authored mocked the metaphysical philosophers’ will to know, fundamentally Leibniz’s, who inspires the figure of the tiresome Pangloss (a character that repeats the mantra that "we live in the best of all worlds", however disastrous may be the circumstance in which he or the young Candide are found). The trio of protagonists is formed by the voluptuously sonorous princess Cunégonde, who will sing one of the most famous and intricated arias - "Glitter and be gay"- along with the spirited overture, whose theme will reappear at different times, according to the best operatic tradition, from Mozart to Wagner. It is fortunate that this little programmed work is performed at the Gran Teatre del Liceu, on the 18th and 20th. Even if it is a concert version, without staging, nowadays the acting skills of singers manage to transmit in the absence of atrezzo that same vivacity, and therefore the audience can easily enter the plot and participate in the avatars that go through its protagonists. The main roles will be performed by Kevin Burdette (Dr. Pangloss), Paul Appleby (Candide) and Meghan Picerno (Cunégonde), with the Orchestra of the Gran Teatre del Liceu conducted by John DeMain. The name of Chucho Valdés has been closely linked to the Barcelona Jazz Festival for years. An event that attracts a diverse audience, because diverse is inevitably the mixture of elements that make up the jazz creation, generated from the confluence of cultures. 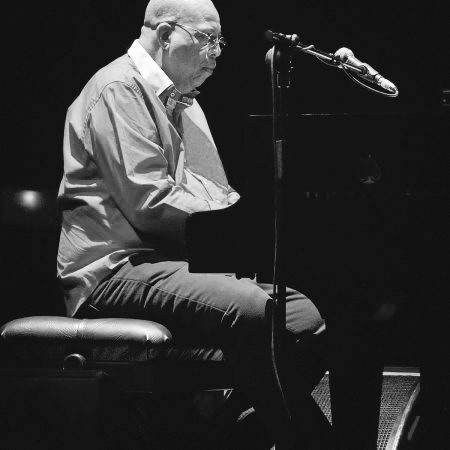 There are many, and memorable, performances by the pianist of Cuban origin, which has led him to exercise since 2014 as godfather of the Barcelona Jazz Festival. This year is the 50th anniversary of the event, and the centenary of the birth of his father Bebo. A very special date, therefore, that on the occasion Chucho Valdés will celebrate returning to the album Jazz Batá, published in 1972. The work, which marked a baseline in the consciousness of this fusion type of music, included the famous song "Irakere". Someone called that new style "crazy jazz", willing to denigrate it. The effect was not the desired one, encouraging on the contrary to its development, which still lasts and that in Barcelona will be enjoyed in the form of a Quartet Ensemble. Together with Chucho, on the piano, will be performing Yelsy Heredia (double bass), Dreiser Durruthy Bombalé (percussion and voice) and Yaroldi Abreu (percussion). One of the most anticipated exhibitions of the year arrives at the CCCB, specifically the one that pays homage to the career of Stanley Kubrick, a fundamental filmmaker, author of works such as 2001. A Space Odyssey, Barry Lyndon, Eyes Wide Shut, A Clockwork Orange, The Shining, Full Metal Jacket or Dr. Strangelove. Perhaps due to the extreme meticulousness of his work as director -the utmost care in the choice of plots, actors and soundtracks- the number of films was -or could seem- not very high; but the truth is that any of them, by itself, would have guaranteed the immortality of the maker, having created jewels in the various genres that he tried, in an undifferentiated way, i. e., with equal mastery. We are in front of an absolutely unique specimen, fanatical about formal perfection, the search of which he applied in complex human issues, that in several cases led to the rejection of the public, criticism and even censorship. However, the monster that was Kubrick managed to dig deep on the sapiens sapiens’ psyche reaching unsuspected limits, expressing through fictitious narratives what no philosophical discourse can make understand (at least, not with that vivacity). 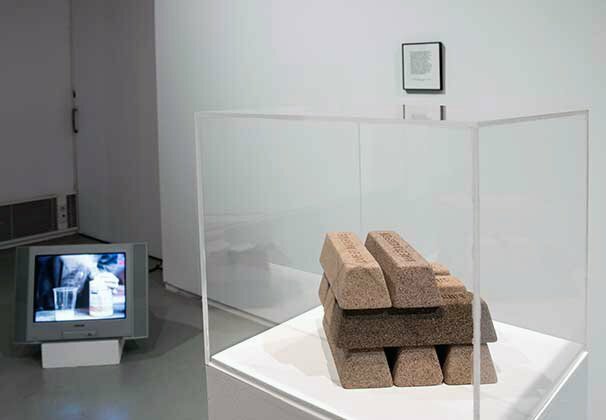 The CCCB exhibitions stand out for the inventiveness and sensitivity with which they promote the immersion of the visitor, turned into a piece of the process and not just an observer confronted with shop windows. In this case, the exhibition, originally designed by the Frankfurt Film Museum, is curated by Hans-Peter Reichmann, Tim Heptner, Deutsches Filminstitut and Jordi Costa Vila, in charge of its adaptation. The design of the CCCB spaces, a fundamental element, is responsibility of Víctor Imperial and Andrés Ibáñez. 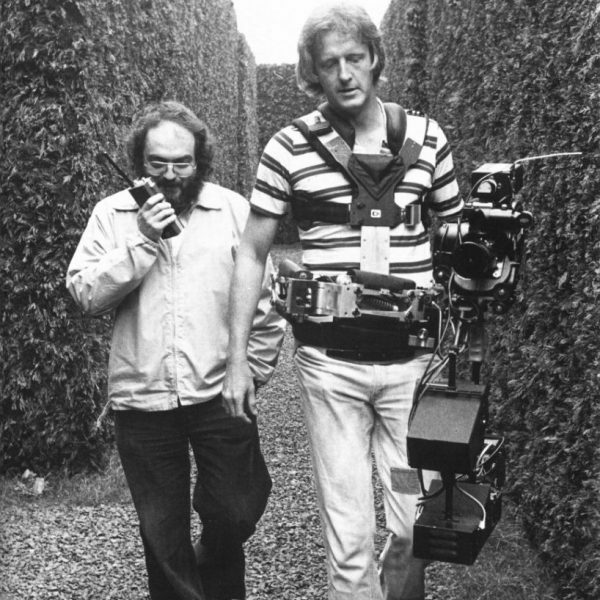 On the website a formal introduction is given: "In 2003, Stanley Kubrick’s personal estate was, for the first time, made accessible and evaluated. Kubrick’s work archives contained an abundance of materials pertaining to all of his films: research and production documents, screenplays, correspondence, production stills, props, costumes, cameras and lenses. Over an area of approximately 1,000 square meters, the exhibition gathers together a representative selection of these objects. The director’s entire career is documented, beginning with his early short documentaries and ending with his last film, Eyes Wide Shut (1999)”. which occurred in 1911. Suddenly, the effigy with a disturbing smile, iconic in its unquestionable reality as an art object, was no longer there, leaving in its place a very real absence. 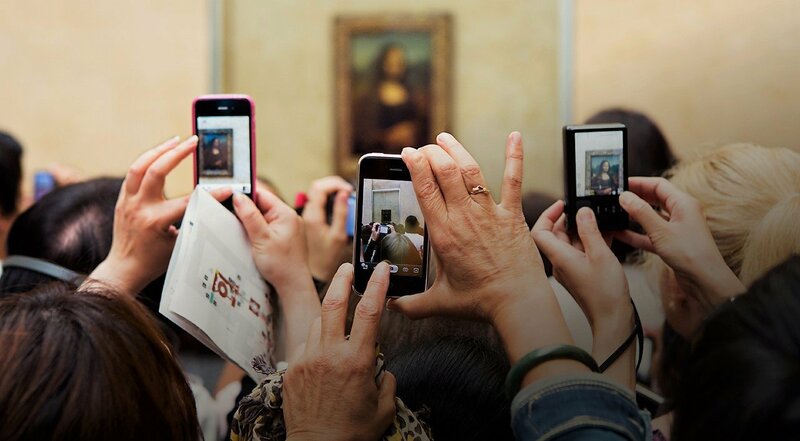 Symptomatically, art historians have pointed out that the number of visitors to the museum increased dramatically after the theft, individuals who flocked to appreciate the e empty space that had been left in the wall. Inspired by this fact, and by the affirmation of Duchamp (the irreverent and inspired plagiarist of the painting in his work LHOOQ) that says "Art is not what you see. Art is the gap”) the series of works from the collection of Contemporary Art "La Caixa" are gathered in the exhibition Una cierta oscuridad (“A kind of Darkness”) by Alexandra Laudo, in the framework of the Comisart program. The reflection on the fetish role of art is not new, but undoubtedly the reality of the digital medium -the reality of the virtual- supposes a new twist in the problematic that brings together the creator and the observer, especially when the first is understood as a source of meaning and the second as a mere consumer. Reality, of course, is never so simple. And the show Una cierta oscuridad allows to progress in the comprehension (of the possible understanding) of the work of art, placing the emphasis on the conscience of the look itself. Last days to attend the exhibition that is focused on a character that was only apparently secondary. The couple formed by Gala and Dalí was the source of an endless number of stories, some particularly odd, due to the eccentric character -premeditatedly eccentric, or not- of the artist. Leaving rumors apart, it has been positively determined the influence that she, Helena Dmitrievna Diakonova -born in Kazan, in the context of an intellectual family- had to exercise over his work. A decisive influence, not a mere inspiration according to the dubiously valued "muse mode". Nor, of course, only as the model that appears in many of his paintings. In the exhibition of the MNAC, one of the most important of the year, a good sample of the paintings that Gala stars in, well-known paintings -truly iconic, representative of his particular surrealism- like the Dream caused by the flight of a bee around of a grenade a second before waking up (1944), converted in a print of powerful significance, that emphasizes the inscrutable fantasy of the psyche. Other paintings show winks -somewhat irreverent- to the classic tradition, like that one titled La Madona de Portlligat. Gala is the woman, the companion who, far from any passive disposition, participates actively in the work of the painter. She, who had been the girlfriend of surrealist poet Paul Éluard, and had met artists as decisive for the history of contemporary art as Max Ernst, became in some way a co-star -or at least necessary accomplice- in Dali’s suggestive ravings, which gave the painter the degree of artistic immortality. - this October a new exhibition can be visited at the Picasso Museum, essential to understand the course of his art. 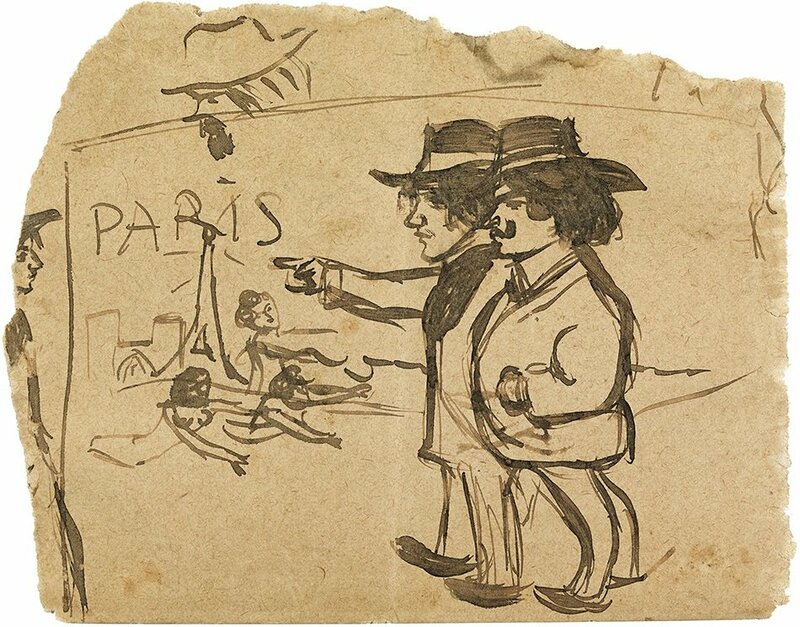 In Picasso discovers Paris the visitor will participate in the journey undertaken by the young Pablo Picasso from his first stay in the Parisian capital, to be able to observe some of the main artists he admired, or at least he was very present. Pieces from the Musée d'Orsay and the Musée Picasso de Paris recreate the artistic climate of the time archaeologically, determining the configuration of a style of his own, which, as it is well known, would evolve in different periods. We think, for example, of artists of the stature of Manet, Toulouse-Lautrec, Degas, Cézanne and Gauguin, as well as others less known today, but which had an impact on the young Picasso. "The selection of works has been made on the basis of the review written by Felicien Fagus on the occasion of an exhibition at Galerie Vollard, which was published in Revue Blanche on 15 July 1901, and it also includes the works by Picasso with references to other artists". The dichotomy "natural / artificial" is as old as man. In other words, it exists since the homo genre begun to manipulate nature in order to create tools for the attainment of ends that basically assure a better (more probable) self-preservation. But, at a sidereal distance from that alpha, from that beginning of the human condition, still the subject that the Center d'Arts Santa Mònica raises is endowed with great interest. Perhaps, precisely, because we are on the other side of history, aware that almost nothing is merely “natural”, that we are looking back for the nature from which we believe to have emancipated (for the same biological purposes that the first species that split and evolved from primates). Speaking already in artistic terms, the proposal of this Center, characterized by the topicality of its concerns and its attention to new creators, seeks to connect with the broadest and most diverse public, including children. Hence the exhibition is part of a series of projects initiated in 2011 by the Servei Educatiu de la Panera, having also had the collaboration of the Banco Santander Foundation. The artists gathered -among which Antoni Abad, Martín Azúa, Curro Claret, Martí Guixé, Kaoru Katayama, Juan Lopez, Concha Prada, Veronica Vicente, Adrianna Wallis- propose different ways of integrating these two antagonistic worlds -the artificial and the natural- evidencing by means of diverse techniques (from the sculpture with elements as basic as boxes of fruit, as mosaic tesserae, to video art), to what extent they actually co-belong, conforming a single one.